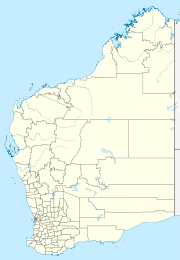 Yandeyarra (also referred to as Mugarinya) is a large Aboriginal community, located in the Pilbara Region of Western Australia, within the Town of Port Hedland. Yandeyarra was established in 1964 and has a population of approximately 400 people. The community is located within the Yandeyarra pastoral station. The original buildings on the site formed an outstation of the original pastoral station. The community is located within the Registered Kariyarra People (WAD6169/1998) Native Title claim area. Children of school age at Yandeyarra attend the Yandeyarra Remote Community School. The school caters for years K - 12 with approximately 40 students enrolled. Yandeyarra Layout Plan No.1 has been prepared in accordance with State Planning Policy 3.2 Aboriginal Settlements. Layout Plan No.1 was endorsed by the community on 6 July 2001 and the WAPC on 1 August 2001. The Layout Plan map-set and background report can be viewed at Planning Western Australia official site. This page was last edited on 11 June 2017, at 16:09 (UTC).